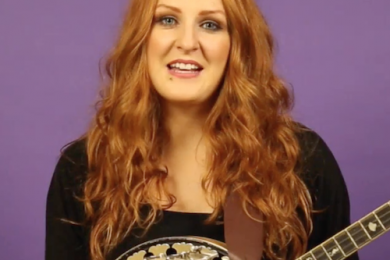 Lisa is a multi-instrumentalist, singer, songwriter, and composer from Co. Mayo. At five years of age Lisa began learning tenor banjo and at ten she started on the harp, attending classes with Bernie and Holly Geraghty, meanwhile completing her academic grades on the piano too. Heavily involved with Comhaltas Ceoltóirí Éireann Ballindine, Lisa won 7 All-Ireland Fleadh Ceoil titles throughout her competing years, including the Senior Harp title in 2008. Now a teacher herself, 9 of Lisa’s own students have gone on to win All-Ireland medals. 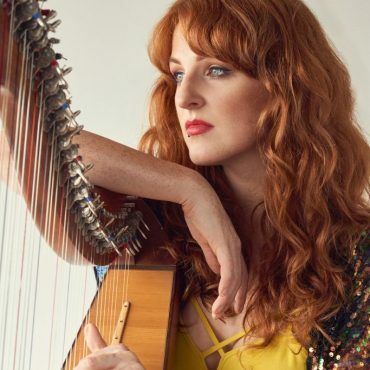 After graduating with a first class honours degree in Irish Music and Dance at University of Limerick in 2010, Lisa went on to achieve a first class honours Masters degree in Ethnomusicology at University College Cork. Her MA Thesis “Contemporary Tune Composition in Irish Traditional Music” looked at the practice of composition within the traditional music community from the 1960’s onwards, accompanied by a portfolio of Lisa’s own compositions; transcribed, recorded, performed, and analysed. Retaining a love for academia, Lisa plans to return to university in the future to pursue a PhD. At the moment, Lisa’s time is spent between touring internationally and the West of Ireland, where she continues to teach and perform. 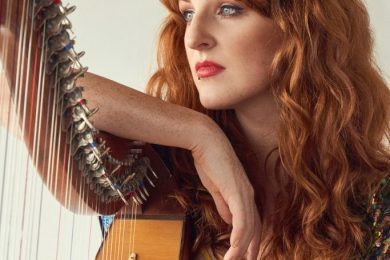 She has toured the States and Canada extensively over the last five years with Celtic Crossroads as lead vocalist, harpist, and banjo player, appearing on their latest PBS special DVD and CD. Lisa has also toured Ireland, the UK, Germany, France, and Russia with groups or shows including Celtic Spree, Irish Legends, Rhythms of Ireland, Fuaim Chonamara, and Fuinnimh, and has performed live in front of over 50,000 people at the Interceltique Festival in Lorient for two consecutive years. In the summer of 2012, Lisa went to ASCAP’s songwriting retreat in France. She was invited by Miles Copeland (former manager of The Police) after he saw her perform in the States. During her time in France Lisa worked with some of the biggest artists, songwriters, and producers in the business including Priscilla Renea (Rihanna, Madonna, Selena Gomez, Cheryl Cole), Jodi Marr (Mika, Paloma Faith, Ricky Martin), Hillary Lindsey (Carrie Underwood, Faith Hill, Taylor Swift, Tim McGraw), Julian Emery (McFly, Lissie), and Claudia Brant (Barbara Streisand, Josh Groban, Michael Bublé) to name but a few. Lisa is currently working on her debut solo album, travelling to co-writing sessions in Miami, New York, and L.A., as well as writing here on Irish soil. Having interest in a wide range of musical genres, Lisa’s musical inspirations include Catriona McKay, Michael Rooney, Gerry O’Connor, Sean O’Riada, Iarla Ó Lionáird, Elizabeth Cronin, Sinead O’Connor, Enya, Sam Lee, Kate Bush, Laura Mvula, Laura Marling and Bat for Lashes. In June 2015, Lisa released her debut single, Lifeline, which made it to top 10 in the Irish charts. As well as gigging with her own band, Lisa has been singing and playing throughout America with the The Young Irelanders.